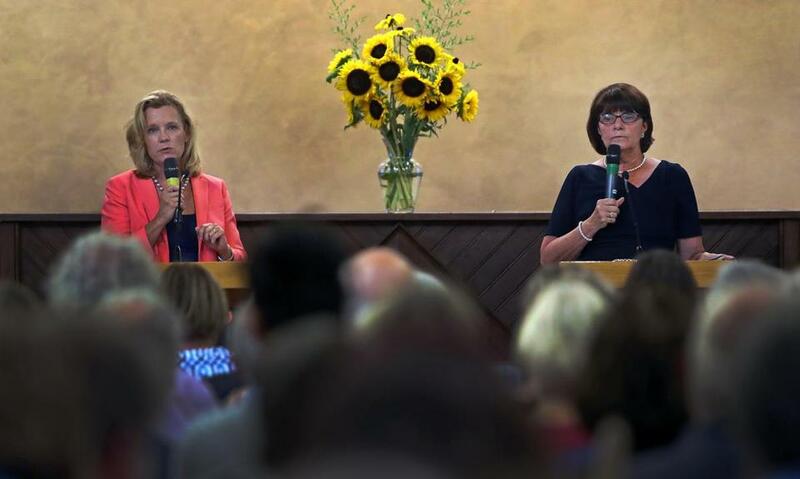 Donna Patalano (left) and incumbent Middlesex County District Attorney Marian Ryan (right) during a debate at the First Parish Church in Arlington on July 24. A wave of new candidates for top prosecutor positions is emerging, with many vowing to carry the mantle of criminal justice reform. She is challenging Ryan from the progressive wing of the Democratic Party — with a host of endorsements to prove it — but she is also hitting Ryan where she is most vulnerable — on the issues of staff turnover and transparency. She cites an audit report that found experienced prosecutors in Middlesex (defined as three or more years of experience) left at the rate of anywhere from 11 percent to 17 percent a year during Ryan’s tenure. “That’s twice the state average,” Patalano said. “There’s something going on in Middlesex County. And those losses have an impact on cases. “Think about it from the victim’s perspective. By the time a case goes to trial, a victim may have to deal with three different prosecutors. Patalano often refers to the criminal justice system in Middlesex as a “black box” — with little data being released by Ryan’s office on pretrial incarceration or prosecutions vs. diversions to, say, drug recovery programs. Donna Patalano is hitting DA Marian Ryan where she is most vulnerable — on staff turnover and transparency. 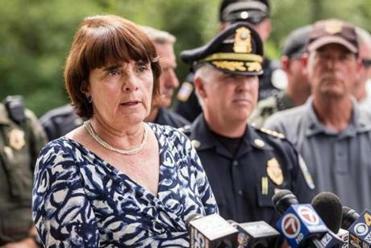 Such common sense on the latest hot button issue of bail may be a tough sell, but not on the politically savvy streets of Somerville, where Patalano has the support of seven aldermen. Ryan’s decision to punt the prosecution of a police misconduct case to the attorney general’s office has clearly caused some ill will there. Sure, Democrats in this state squabble all the time. But this is the kind of year when incumbency means precious little and Patalano is counting on that — that and a lot of shoe leather. Rachelle G. Cohen is a contributing columnist and member of the Boston Globe editorial board.